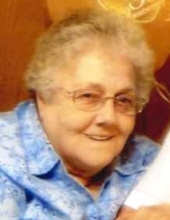 Carole E. McIntire, age 75, of Oquawka, Illinois, passed away at 11:37 PM on Friday, March 29, 2019 at OSF Holy Family Medical Center in Monmouth, Illinois. She was born on December 25, 1943 in Burlington, Iowa, the daughter of Junior Cornell and Helen Maxine (Craig) Coover. She attended Oquawka Grade School, G&O High School, and graduated from Union High School. On August 10, 1963, Carole married Ray W. "Fuzz" McIntire in Upland, California and he preceded her in death on May 24, 2018. For a time, she worked at a retirement home in Longbeach, California. After moving back in the area, Carole worked for many years as a Secretary for the Oquawka School District and the West Central School District. She lastly worked at the Phillips 66 Station in Oquawka, Illinois. Carole enjoyed reading, crocheting, cats and birds, and soap operas. In her younger years, she enjoyed playing volleyball and dancing with her husband Ray. Mostly, Carole loved spending time with her grandchildren. Carole is survived by two sons; Ray Jr. (Amy) McIntire of Oquawka, IL and Craig (Tammy) McIntire of Oak Grove, MO, one sister; Victoria Oaks of New London, IA, two brothers, Dennis Coover and David Coover, both of Oquawka, IL, grandchildren; Hannah, Megan, Matt, Travis, and Tori (Jeff), and three great-grandchildren Vernon, Ivan and Jameson. A number of nieces and nephews also survive. She is preceded in death by her parents, husband Ray, and one son, Joseph McIntire. As were Carole's wishes, cremation is being accorded. A memorial service is planned for 10:30 AM on Saturday, April 6, 2019 at Turnbull Funeral Home in Oquawka, Illinois. Visitation will be from 9:30-10:30 prior to the service at the funeral home. Interment will be at the Oquawka Cemetery. A memorial fund is being established for the Henderson County Humane Society. To send flowers or a remembrance gift to the family of Carole E. McIntire, please visit our Tribute Store. "Email Address" would like to share the life celebration of Carole E. McIntire. Click on the "link" to go to share a favorite memory or leave a condolence message for the family.